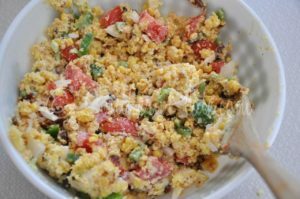 Salads can be very ordinary and right down boring if we always prepare our same old recipes. 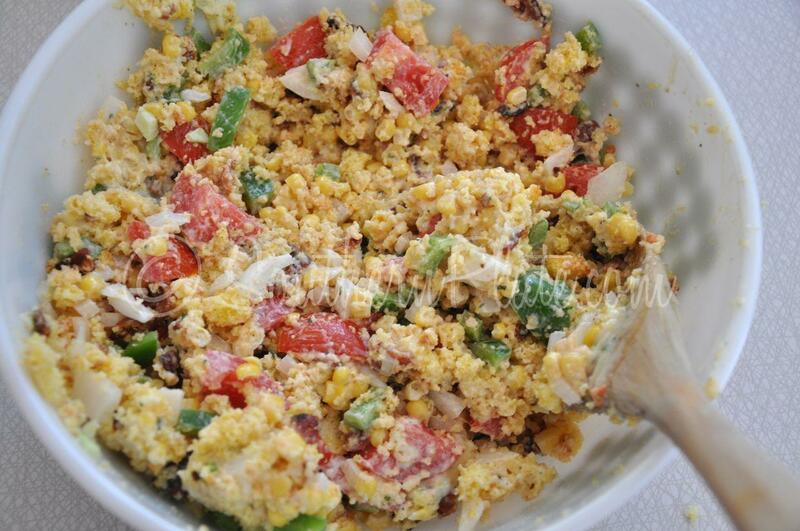 This week’s recipe for Cornbread Salad is easy, filling and very flavorful. Place cubed cornbread in the bottom of a trifle bowl or large container with a lid if needed for transporting. Mix together dry ranch dressing mix, mayonnaise and sour cream. (This can be doubled if you want more dressing. Also bottled salad dressing can be substituted.) Next layer beans, corn, bacon (except for 2 tbsp. ), chopped peppers, onions and tomatoes. (All of these ingredients can be mixed together then put on the cornbread.) Sprinkle on shredded cheese (all except 1/3 cup) then evenly spoon ranch dressing on top. Sprinkle remaining shredded cheese and bacon on top. Cover and refrigerate for 3 hours to overnight before serving. *If you want to add meat to this salad, brown 1 lb. of ground beef or turkey and mix in 1 packet of taco seasoning, cool then spread over top of beans.